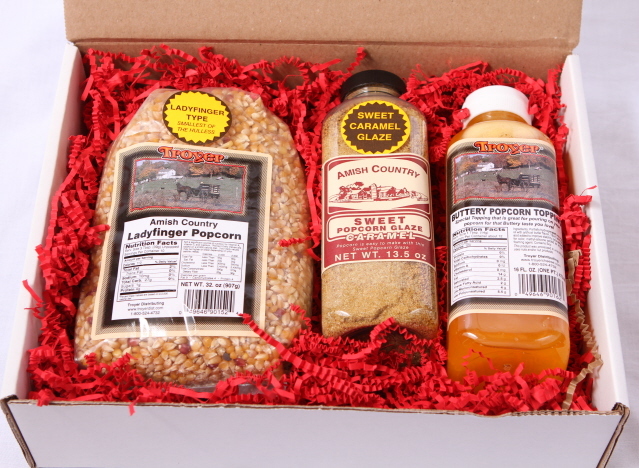 Send a Gift Box packed with wholesome goodies, straight from the heart of Amish country! 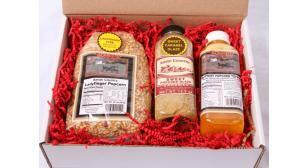 Perfect for any Popcorn Lover! Popcorn the Old Fashioned Way. Ladyfinger popcorn is grown in the USA and cannot be purchased in a typical chain grocery store. Taste the Difference and never go back to traditional popcorn! It is known as the "smallest of the hulless!" Pops into a delicious petite kernel! A traditional favorite Sunday afternoon snack of the Amish community, it is often served with home canned grape juice.